Monarch Air Group provides private air charter in Portland, OR. Our clients benefit from top-notch service, unrelenting dedication to safety, wide selection of aircraft, and years of experience in chartering private jets. To obtain a free quote, please use our online quoting tool provided below, or call toll free 1-877-281-3051. Monarch Air Group offers private jet charter services to and from Portland, OR, USA. 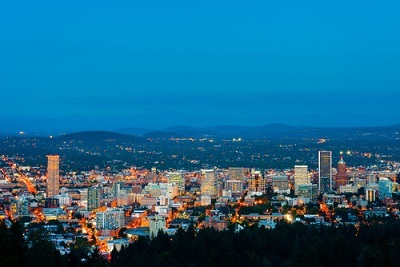 Known as “the City of Roses” Portland is a beautiful city, which is located in the Western Coast of the United States. Portland has been referred to as one of the most environmentally friendly cities in the USA. The city has green car rentals convenient for the common tourists, green hotels and houses, and one of the most efficient energy systems in the United States. Portland provides its tourists with lots of history, galleries and museums, a Saturday Market, green parks, and much more. There are world-class performances from Broadway musicals, the Oregon Symphony, Ballet, and Shakespeare. Portland is a perfect place to live and to visit. 1. CZK, Cascade Locks/Stevens, Cascade Locks, United States. 2. HIO, Portland, Hillsboro, United States. 3. KLS, Longview, Kelso, United States. 4. LOG, Longview, Longview, United States. 5. McMinnville Municipal, McMinnville, United States. 6. PDX, Portland International, Portland, Or, United States. 7. PFC, Pacific City State, Pacific City, OH, United States. 8. SLE, Mcnary Field, Salem, United States. 9. TDO, Winlock, Toledo, United States. 10. TTD, Troutdale, Troutdale, United States. 1. Lucere At Riverplace, 1510 Southwest Harbor Way, Portland. 2. Ace Hotel Portland, 1022 SW Stark St, Portland. 3. Hotel Modera, 515 Southwest Clay Street, Portland. 4. Hotel Lucia, 400 Southwest Broadway, Portland. 5. Hotel Monaco Portland – A Kimpton Hotel, 506 Southwest Washington Street, Portland. 6. Inn At Northrup Station Hotel, 2025 Northwest Northrup Street, Portland. 7. Marriott: Residence Inn Portland Downtown/RiverPlace, 2115 Southwest River Parkway, Portland. 8. Embassy Suites, 319 Southwest Pine Street, Portland. 9. University Place Hotel & Conference Center, 310 SW Lincoln St, Portland. 10. Lucere At Riverplace, 1510 Southwest Harbor Way, Portland. Monarch Air Group LLC is not an aircraft operator. All aircraft are operated by FAA part 135 or part 121 operators, or foreign CAA equivalent. Monarch Air Group is a charter broker working on behalf of its client, as defined by DOT 14 CFR part 295.